You may have caught the Little Red Kings headlining set at Deepdale Festival. 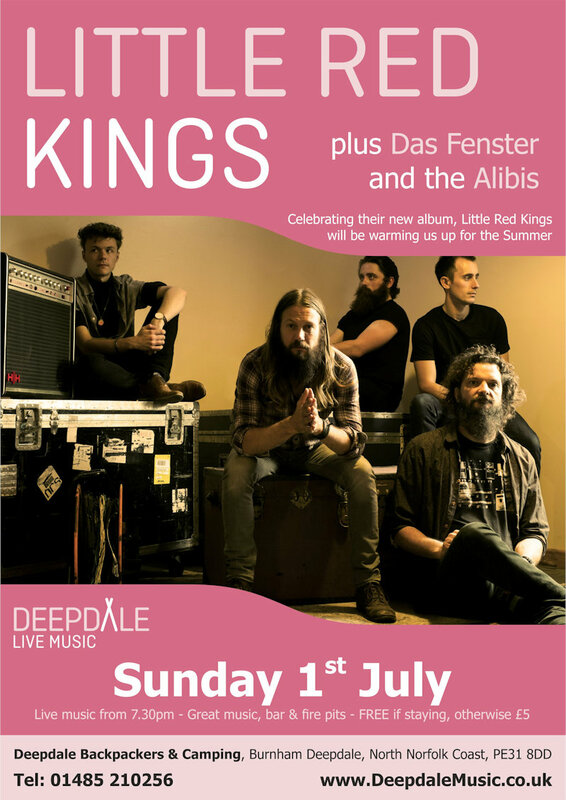 This time enjoy their Summer Sunday Session in the brick barn, celebrating their new album ’Callous’, with support from Das Fenster and the Alibis. 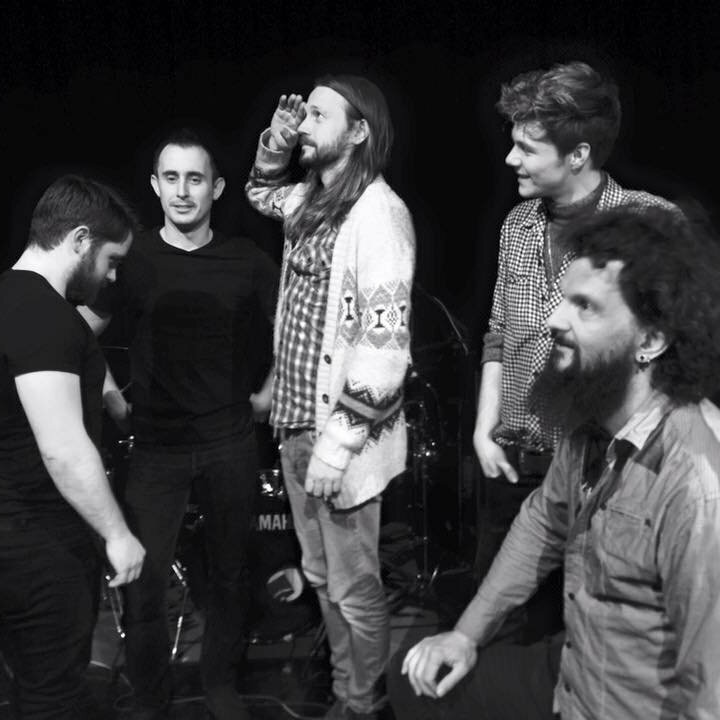 Little Red Kings are a group of five dedicated musicians based around Norwich, Norfolk. Each with their own history of touring with successful bands. A vision of alternative roots rock brought the five band members together, and with a powerful live show they haven’t looked back. Their music combines a gritty, earthy quality, reminiscent of British classic blues rock bands of the 70’s. 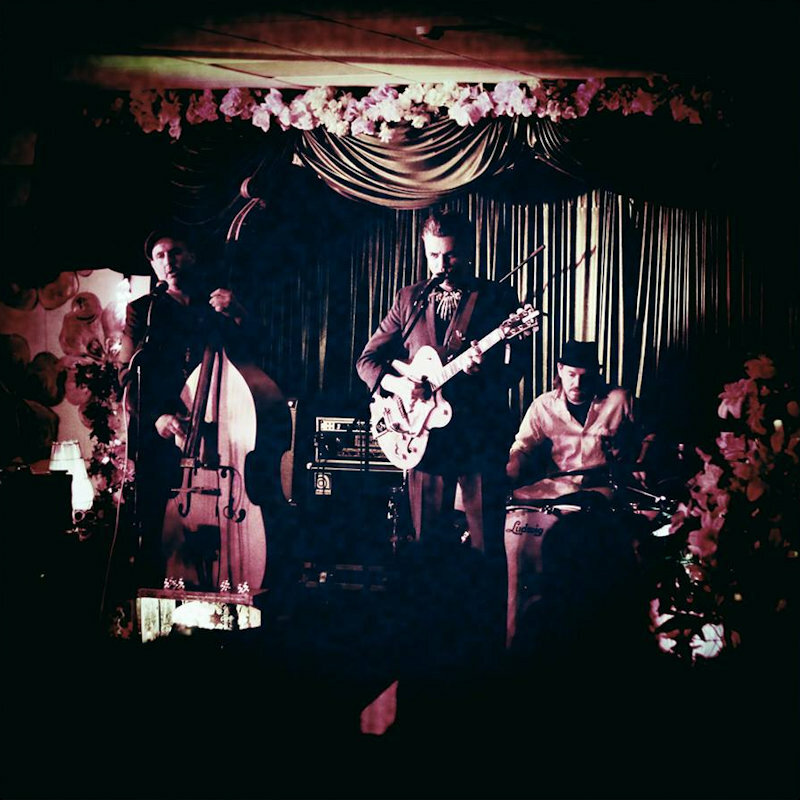 With Strong melodies and elements of modern alternative rock, Little Red Kings are a band that appeals to a wide range of audience. Over the years, the band has built a strong, and loyal following, through frequent gigging in East Anglia, The Midlands and excursions south. Their live shows are proof that these dedicated musicians, are not simply "in a band", but are actually "living for the band". Their performances are shows full of heart and soul , with just enough spontaneity to keep crowds coming back again and again.....and again. Das Fenster heard Rock’n’Roll in a Belfast bar one night, and all thoughts of joining the priesthood went out the window for good. What more is there to say other than they list their influences as 40’s Film Noir, the art & movies of the Weimar Republic, Gangsters, Voodoo, 50’s Strippers & Marlon Brando. This will be a Brick Barn gig. You can enjoy dancing to the band in the barn or relaxing in the courtyard with the fire pits and dark skies of this beautiful part of the world. Please bring snacks, but not drink as we will have a bar serving beers, wines and soft drinks. We can’t imagine a better early Summer weekend, so why not join us. Book a bed with us in the Hostel or a pitch on the Campsite and entrance is included. Otherwise, tickets available in advance from our Yapsody page for £5.